Have you met Pal the Assistant Chatbot? Cut down cost. Increase sales. Need an extra hand in your team? Automate the most frequent customer care scenarios using assistant chatbot and maximize the time and efficiency of your customer care agents. Give your agents the opportunity to focus on more complex cases, while Pal the Assistant helps out your visitors. Can you afford another SEEN on your website? Remember when you got seen instead of an answer to your question? That’s exactly how your customers feel when they don’t get their questions answered. With a little help from Pal the Assistant Chatbot, all inquiries of your customers will be answered quickly through chatbot. old ones to match your business needs. Seamless buying experience leads to more sales and better customer retention. Pal the Chatbot Assistant will help you increase sales by giving customers what they want when they want it. 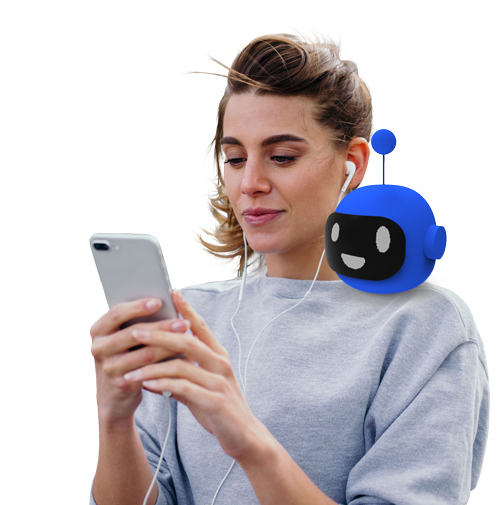 Customize your Pal the Assistant chatbot to meet the needs of your business. Communicate more efficiently using stickers, cards, and buttons. Suggest responses, add action buttons and save your customers’ time! Integrate Pal the Assistant bot with all the tools and software you already use and love.